Ok, so in order to spread the word (god how cheesy) about blogs I just love reading I have decided to start my Blog of the Month feature. These blogs are on my JOLLY GOOD BLOGS page which I obviously recommend you check out! Obviously! Anywho, this month’s featured blog is Being Little. 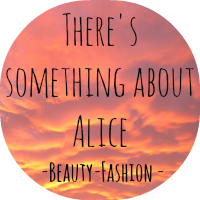 I absolutely love this blog, it’s one which I always check for updates and sometimes just like giving it a peek because it’s so pretty (I love pretty blogs, I’m a judge a book by its cover kind of person). All Lyzi’s pictures are just beautiful, every single one has been taken with such care and they are really gorgeous to look at, what a talent, I hope that one day if I can take pictures even half as good as hers I’d be one very happy bunny! Aside from the fact it looks beautiful and has lovely pictures, it always has posts that are a delight to read. I love keeping up to date with what’s going on and I really think you would too! Please check out Lyzi’s blog Being Little here, I promise you won’t regret it, you will fall in love with it just as much as I am, which is quite a lot! what a nice idea for a post! Thanks for the blog comment. I'm now following you! Follow back? Thank you very much for stopping by and your comment. I love your blog. I also started following you. Hopefully we can follow each other back? Awww, Lyzi was at SWBloggers but I didn't get a chance to speak to her. She does have a fab blog! love the vintage feel to your blog. 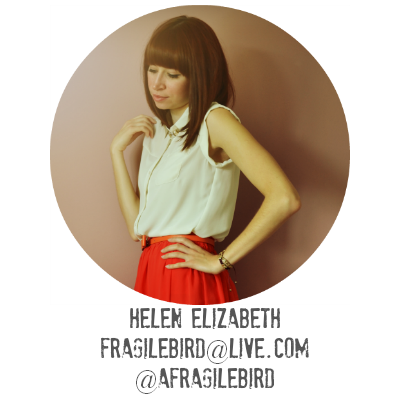 Would be cool if we followed each other, so just let me know on my blog? Thank you for stopping by at my blog and your lovely comment! 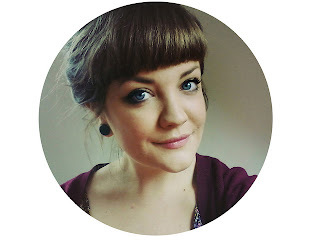 You have a lovely blog, I'm so jealous you live in Wales :). I love this new segment! Thank you for sharing your favorite blogs! Hi Helen! Thank you for your kind post on my blog! You have a fantastic one as well! I adore the vintage gal with the drill machine on the bottom right hand corner ^_^. Cheers, I hope to be reading up on your blog soon. Miss Being Little has a sweet blog as well and her pictures are indeed stunning! Alrighty hope to talk to you soon! I love watching blogs that are recommended by others, since those are mostly the ones that are hard to find on your own! Really like your blog. Love the 'Blog of the month' part! 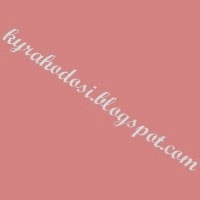 I've been a follower of Lyzi's for a while now, and I totally agree, its a great blog! I'm now following you on bloglovin'. Hey love your blog! please follow mine!